I don’t think I need to tell you how much I love attending outdoor concerts. As much as I appreciate our various indoor venues and how some of them go above and beyond to bring diverse voices to their stages, my one musical love is to stand under the hot sun – or the stars – and enjoy some music without drink minimums or any other restriction regularly imposed by club managers. For this reason, it is with great expectation that I look forward to the summer months when music comes outdoors, because these musicians have a chance to reach audiences they might never reach out to otherwise – things would be segregated among the ‘jazz,’ ‘world’ or whatever pocket genre your next tastemaker might come up with. Among the various events I love to attend are Summertage (once limited to Central Park but now a citywide event) and Celebrate Brooklyn – they are both works of love for all those involved, including this writer – there is no price to pay for the many memories created by each of the shows I have attended over the years. Which brings me to my selections for the month of June for both venues – but let me note that I am only commenting on the non-benefit shows – the others get plenty of coverage on their own without my help. Summerstage gets things running on June 3rd with an opening event featuring the great Mavis Staples (remember “I’ll Take You There?” ), who I wrote about when she played at the same stage in 2008, generating one of the best quotes I have ever heard on stage in my life: “Mississippi is a great place to come from, but it is even a better place to get away from” following a rendition of “Down in Mississippi,” a tune that reminded us of the pain so many went through during the Jim Crow era, which she helped – at least legally – get rid of. Over at Celebrate Brooklyn things begin to get interesting with some soul that brings together Alice Smith, Bilal and Kris Bowers (June 10th) ,all fantastic artists in their own right. 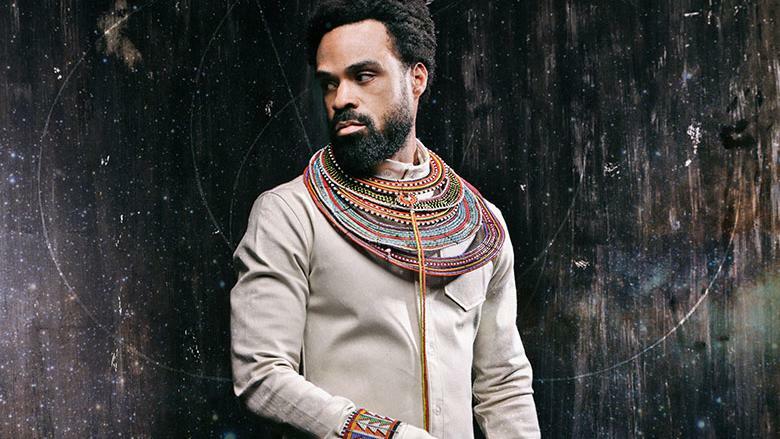 Bilal is one of my personal favorites of the three due to his ability to bridge between genres, often contributing with jazz, Latin and rock artists and sounding comfortable among all of them. Another legend – one of the engineers of funk – is George Clinton, who will be playing with his longtime band Parliament Funkadelic on June 11th as part of the Only in Queens Festival (associated with Summerstage). It should be a magical night at Flushing Meadows Park in Queens, and will certainly be worth the ride on the 7 train. Fête de La Musique (June 26th) brings some new French music to the foreground – my personal highlight is German-born Ayo, whose 2006 debut single “Down on My Knees” has stayed with me and has also become attached to memories of a 2014 trip to Europe, when the song played at a restaurant in Krakow – whenever I hear the tune it takes me back to that unlikely place in my life. It is a song in which the narrator pleads for her lover not to go away and reminds him (her?) of the things they have shared. My great appreciation for Robert Glasper (June 25, Central Park) is not a secret – I have reviewed his albums and live performances over the years. His approach to jazz is quite unique as he blends elements of jazz and contemporary music (hip-hop, soul) with a political edge – he collaborates with folks you don’t usually associate with jazz, such as Erikah Badu and Bilal, to name a few – and is humble enough to go on the road as a supporting musician for Maxwell – one of the pioneers of the contemporary sould movement. June closes with Lila Downs (Celebrate Brooklyn, June 29) , who is one of my top 10 favorite female singers. She is one of the few musicians I know who can tackle pretty much any genre while staying true to her Mexican roots. I have been following her music since I saw her at a downtown concert in which she shared the bill with Brazil’s Luciana Souza – I was immediately hooked by her expressive voice and stage presence. I must have seen her live at least ten times since and am surely looking forward for this one.